Is your immune system as strong as it can be? 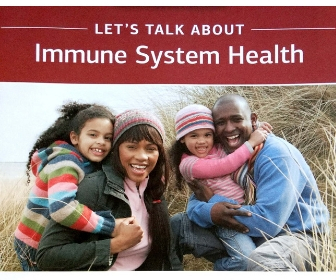 Your immune system helps your body defend itself against a host of illnesses. It helps maintain a healthy balance and keeps you well. Stress, poor eating habits and inadequate sleep can impair your immune system and leave you feeling tired and not well. 50% of adults report that stress has a strong impact on their body and physical health. The top 3 sources of significant stress are money, work and family responsibilities. Poor eating habits, like eating foods with too much sugar or not enough fruits and vegetables, can impair your immune function. Poor eating habits alter the way genes express themselves (epigenetics*) , including those that deal with the immune system. According to the CDC more than 1/3rd of adults do not get enough sleep. It is recommended that adults sleep a minimum of 7 hours per night. Lack of sleep impairs the immune system. If you want to be healthier and stay healthy reduce your stress, eat more fruits and vegetables and get more sleep. *epigenetics is the science of what turns genes on and off. Genes can be turned on and off by our experiences and environment. The food we eat, the stress we undergo, the pollution we’re exposed to, all these can influence the genetic legacy we pass on to our children and even grandchildren.